Personal Protection Tip: Nothing attracts the attention of predators more than a large purse or handbag carried by a woman. 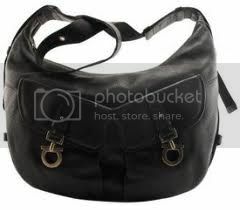 Certainly, the average large-sized satchel will have something of value that can be easily pawned or traded for cash. A woman can greatly enhance her chances of not being selected for a robbery if she can break the carrying of a purse habit. If you are woman, please take this opportunity to stop what you are doing right now and conduct an inventory of your purse. Do you really need to lug around all of that stuff? Your decision to not carry bait for predators may mean the difference between being robbed and being passed over for a more suitable target.